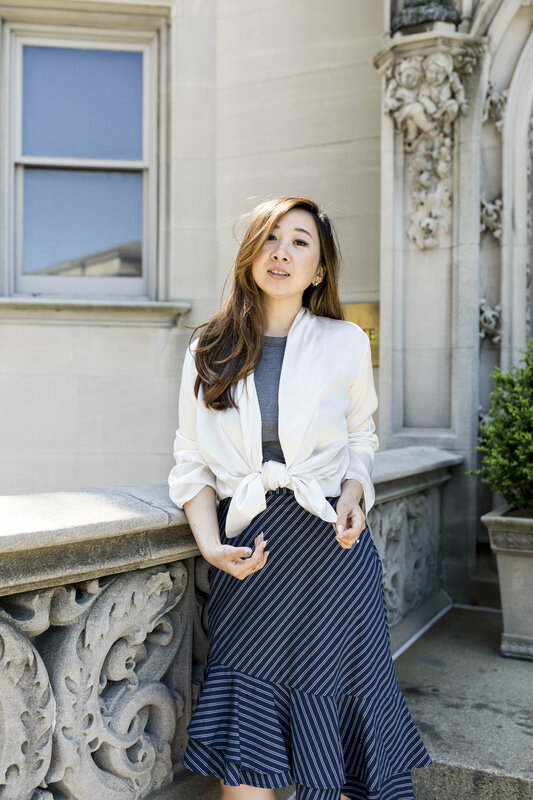 Today, I'm styling an item I've received from Maggie, a dear friend of mine and founder of the elegant brand Maggie Wu Studio. I've previously featured several beautiful hair pieces and jewelry designed by Maggie, and she is soon launching a new collection of silk items! The collection is created with brides in mind but the roles these pieces would play in your closet go beyond the big day. I picked out the robe from her collection to style because I see myself using that piece a lot more frequently than others. This is the most straightforward way of styling the robe, simply wearing it as a light "jacket" for those slightly chilly spring days. 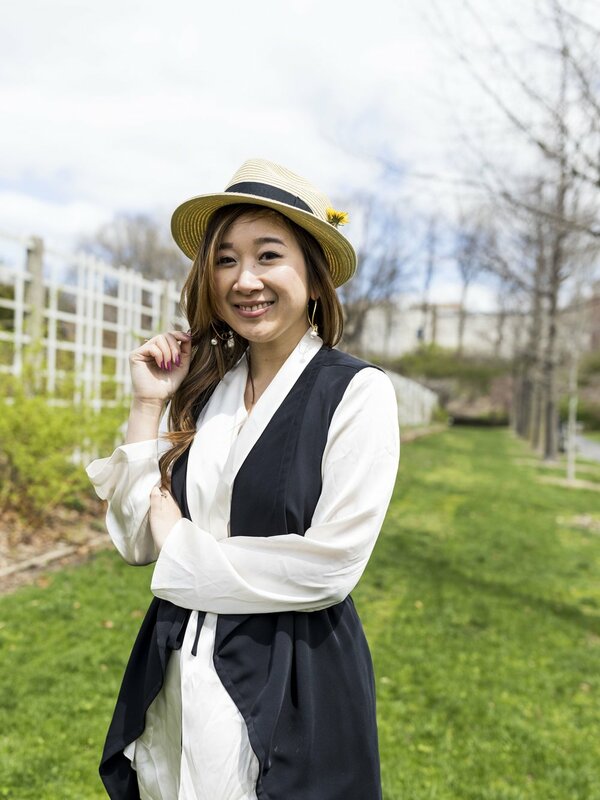 I think this is a perfect travel outfit, too; its comfortable to wear and looks chic in photos! Wear the robe like any white shirt under a blazer! This look is suitable for work, with a touch of sophistication. I like mixing materials, so if I was styling this look to wear in the winter, I would add a classic trench coat over this entire outfit, which would still stay work-appropriate, too. Proportionally, I have a longer torso and shorter legs, so I like adding belts to highlight my waist and elongate my bottom half. This is possibly one of my favorite looks out of 7! I usually like using black belts but this pink one ties the entire look together so well! Since it's the summer, I like keeping the color tone on the lighter side anyway. And I love that I match the beautiful cherry blossoms in the background, too! Tie the bottom of the robe and turn it into a cropped top! This also elongates my bottom half so I like this method a lot, too. Plus, you get to add a bow, which I think gives the look an extra feminine touch! On the bottom, I styled it with a high waisted midi asymmetrical skirt and sneakers. I think I've had this vest for maybe over a decade now. It's such an easy piece to layer over shirts, tops and dresses, so it was natural for me to want to style it over the robe. You can never go wrong with black and white, anyway! 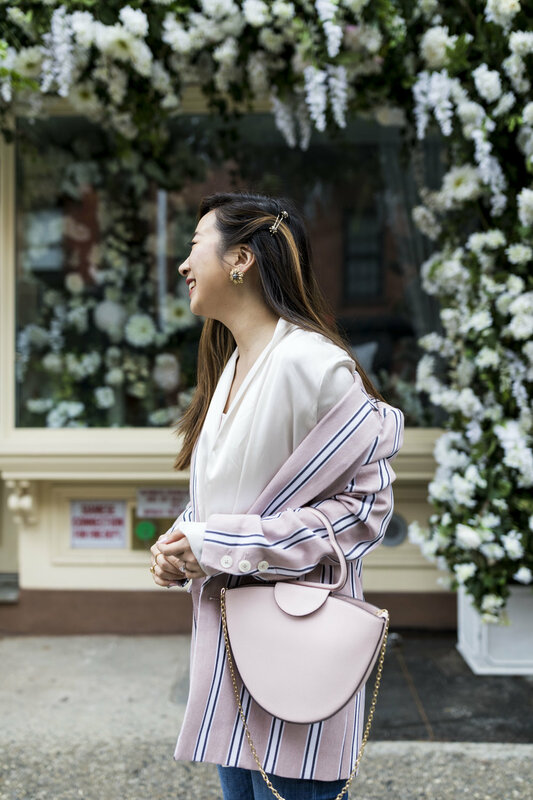 The robe functions as a great cover-up, and I found that it goes well with athleisurewear, too! I love throwing it over my workout gear on the way to and back from my barre and yoga classes, so I can look put-together on the road. Even when I'm just out running errands, this is a great go-to outfit! 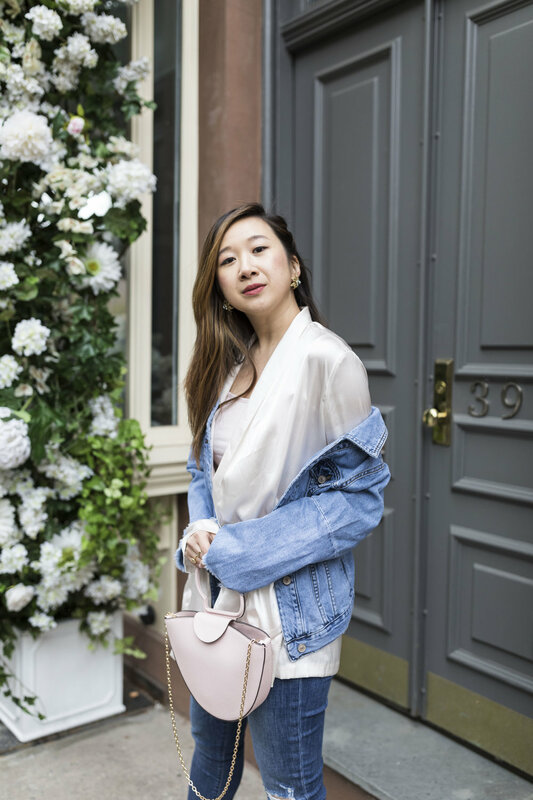 Denim has never been out of trend and it seems to go with everything, including this silk robe! I like how the blend of different materials adds depth to the outfit, and the white breaks the monochromatic blue. I wore this to a brunch date as well as an event, and received lots of compliments! Which look is your favorite? Let me know by leaving a comment below!